A listing of small examples that are useful for learning CanJS. The Credit Card walks through building a simple credit card payment form with Stripe. 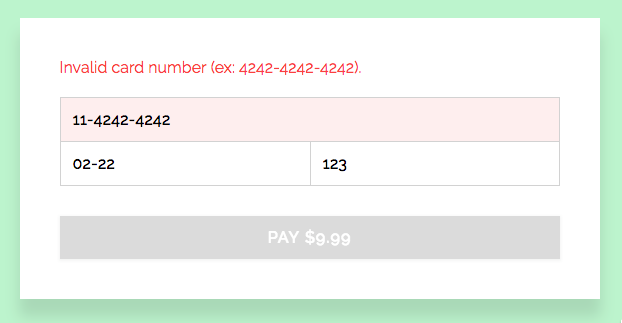 It also performs simple validation on the payment form values. The Credit Card recipe builds nearly same application, but with better validations and with Kefir streams instead of can-define. 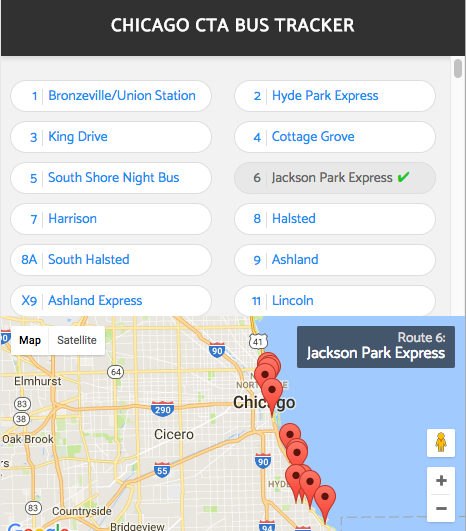 The CTA Bus Map walks through showing Chicago Transit Authority (CTA) bus locations on a Google Map. You'll learn how to create a can-component that integrates with 3rd party widgets. 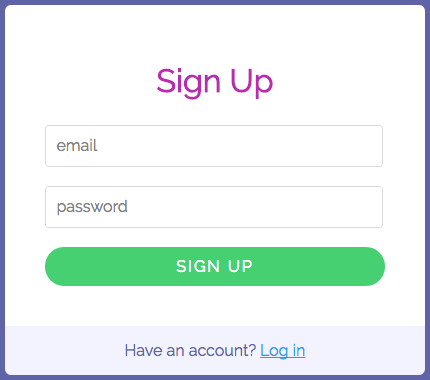 The Signup and Login walks through building simple signup, login forms and a logout button. The File Navigator walks through building a simple navigation widget where you can open and close folders. The File Navigator walks through a navigation widget that uses can-connect to load the data for a folder from a simulated service layer. The TodoMVC with StealJS guide builds the TodoMVC application, like the TodoMVC Guide, but using StealJS to load modules. It is designed to be done in a classroom-like setting and includes links to keynote and powerpoint presentations for each section. The Weather Report walks through building a 10 day forecast widget using YQL. The Weather Report extends the simple widget to remove imperative code and automatically lookup the users location using the browser's geolocation with event streams. The Playlist Editor shows how to use YouTube's API to search for videos and make a playlist. This makes authenticated requests with OAuth2. 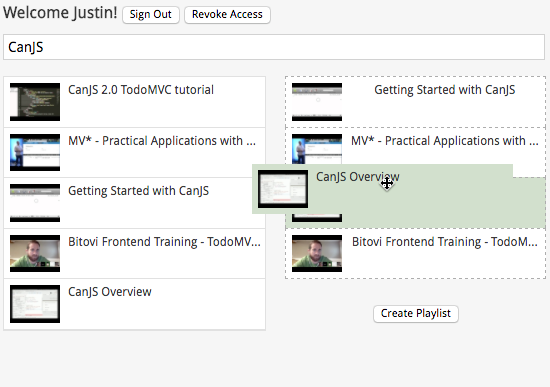 It uses jQuery++ for drag/drop events. It shows using custom attributes and custom events.